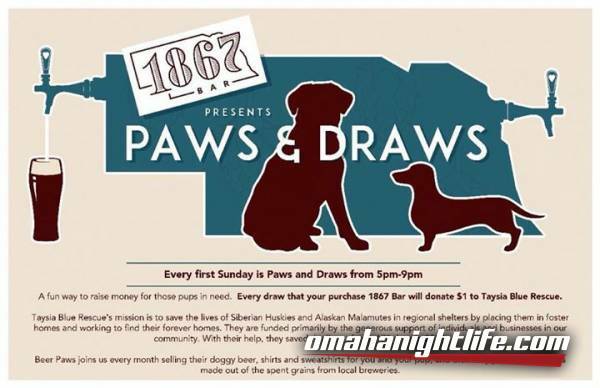 Every first Sunday is Paws and Draws. A fun way to raise money for those pups in need. 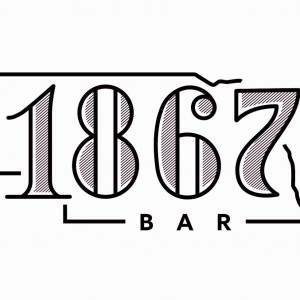 Every draw that your purchase 1867 Bar will donate $1 to Taysia Blue Rescue. Taysia Blue Rescue's mission is to save the lives of Siberian Huskies and Alaskan Malamutes in regional shelters by placing them in foster homes and working to find their forever homes. They are funded primarily by the generous support of individuals and businesses in our community. With their help, they saved the lives of over 170 dogs in 2017. Beer Paws joins us every month selling their doggy beer, shirts and sweatshirts for you and your pup, and their very popular dog treats made out of the spent grains from local breweries.